Oh My Llama! Decor Bundle - Editable! 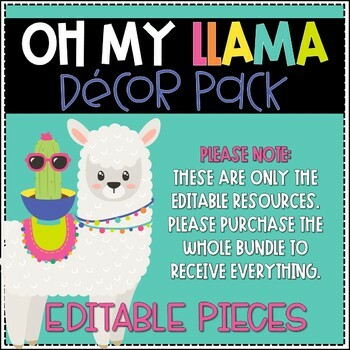 This listing includes ONLY the editable portions that coincide with the Oh My Llama. These are NOT editable. This listing is only included so that it can be added to my bundle. PURCHASE THE BUNDLE TO RECEIVE THE DECOR PACK IN IT'S ENTIRETY!